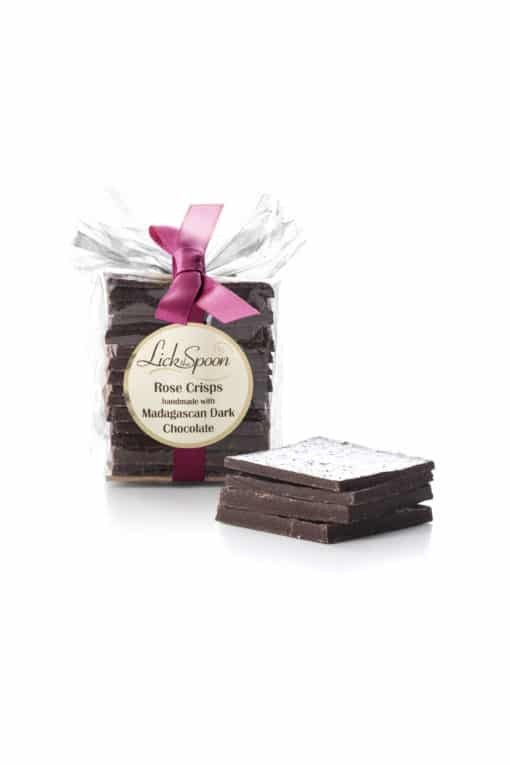 Our Rose crisps have been a favourite for several years now. Some people buy them a gift, others very sagely eat a square a day. Some even buy them as a more sophisticated romantic gift, a beautiful rose coloured bow for your beau! Rose Infused Dark Chocolate Crisps. Our deliciously dark house blend 75% cocoa chocolate, infused with pure essential rose oil.